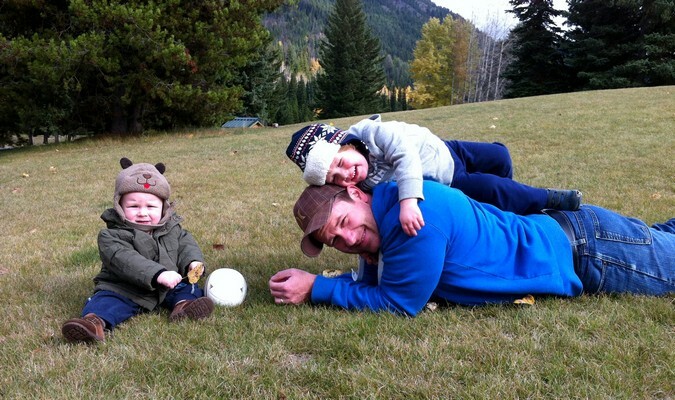 Every month, Cameron Wears from Traveling Canucks will share tips and advice on how to travel better with your kids. This is an often-requested topic, so I’m excited to have him on the team! 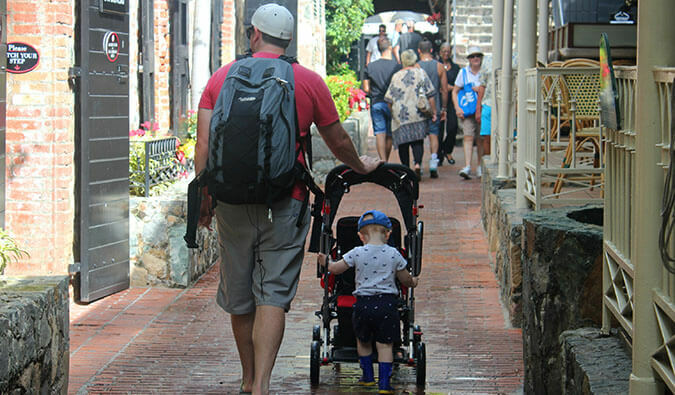 As a newbie parent, the thought of traveling with your infant or toddler can feel like an overwhelming proposition. You don’t want to put your life on hold while you raise your little one, but, at the same time, you don’t want to take a trip that will be more of a headache than an enjoyable experience. 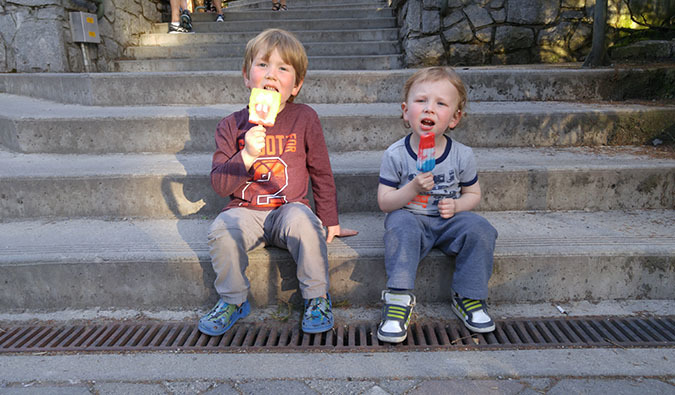 Introducing our two little boys to the world has been an extremely rewarding experience. We cherish our time together and enjoy sharing our passion for travel and adventure with them. But it’s not always easy. In fact, sometimes traveling with our boys can be quite challenging. I think that’s part of what makes it so satisfying. Like a mountain trekker reaching the summit after hours of painful climbing, the reward is not just about the view at the top or the ability to say “I did it.” The reward is the preparation and the journey, the unexpected moments in between. That’s what we love most about road trips. They make the journey the adventure, the destination secondary. Road trips were a big part of my childhood and some of my fondest memories. 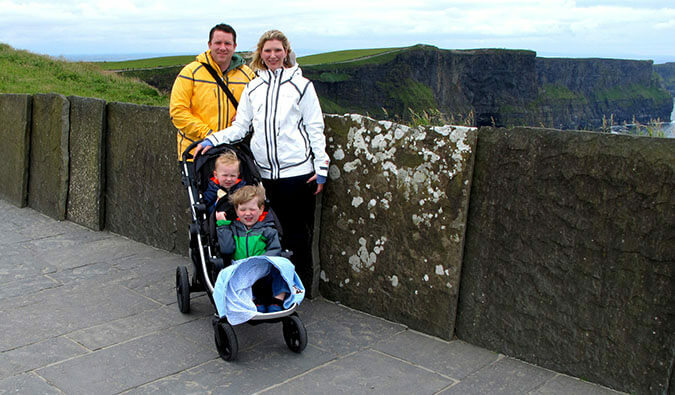 They are a wonderful way to spend time together as a family, travel on a budget, and see a lot of the countryside. Here are reasons why you should consider a road trip for your next family vacation and ways to make it possible. Whether you drive 100 miles or 2,000 miles, you’re in complete control over where you go and how you get there. Being in a vehicle allows you to see the countryside and visit places you would not ordinarily visit. Adventure lies in the most unexpected places. While on a road trip through the Canadian Rockies this summer, we had the freedom to visit whatever attraction we desired. 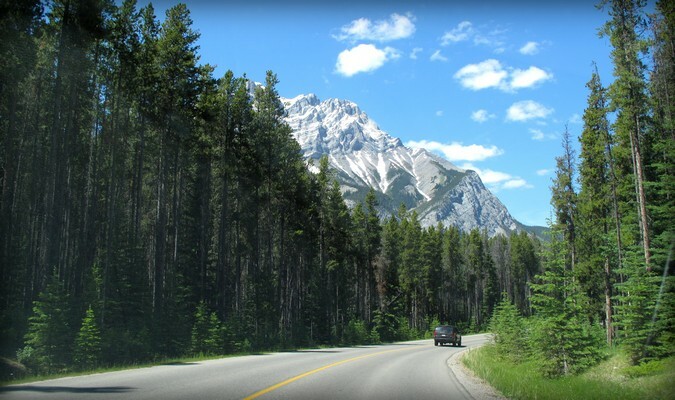 As we drove down the Icefields Parkway from Jasper to Banff (arguably the most beautiful drive in the world), we constantly found ourselves pulling off the highway to view waterfalls, canyons, glacial lakes and Rocky Mountain viewpoints. We would never have been able to stay at this incredible mountain lodge in Banff National Park if we were traveling by bus or train. The great thing about road trips is that every day is different. Tomorrow brings new landscapes, new towns, new attractions, and new hotel rooms. This is exciting for little ones and parents, because every day becomes a new adventure. It also means that you can change your itinerary at a moment’s notice if you find something better to do. One of the most stressful parts of family travel is making your departure time. No matter how well you plan, you always feel rushed on travel days. Packing, feeding, cleaning, dressing — there’s never a shortage of things to do (and that’s before you start getting yourself ready). Planes and trains don’t wait for unpunctual families, so we often start “the process” several hours before departure time. 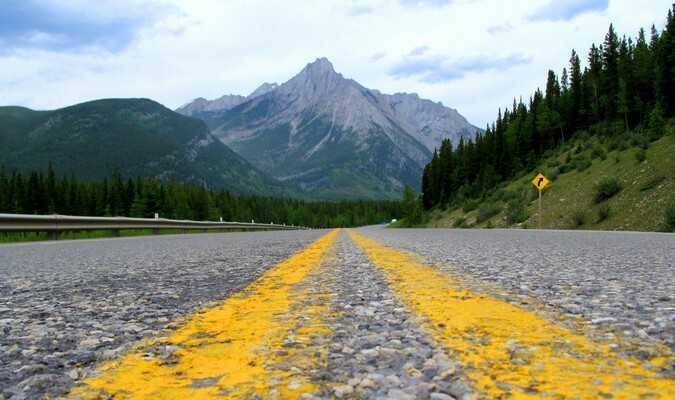 Road trips allow you to go at your own pace, removing the unnecessary stress that comes with strict departure times. On our summer road trip through the Canadian Rockies, we had a set itinerary with planned activities for each day. But, as the trip evolved, our itinerary changed. We added stops, we removed stops. We decided to swim in the pool after breakfast instead of hitting the road. What I love about road trips is that if your children (or you) are moving a little slower, you can push back your departure time and let things happen naturally. If you want to spend more time at a tourist attraction, no problem, take your time. This is your trip, so you get to call the shots. Now that we travel with two little boys, our flight expenses have literally doubled. Although our youngest is still under two years old, he’s a curious little guy that can’t sit still for more than a few minutes. Because of this, we now need to purchase four seats when we fly so that he can have some space (and to give us a break from holding him for hours). 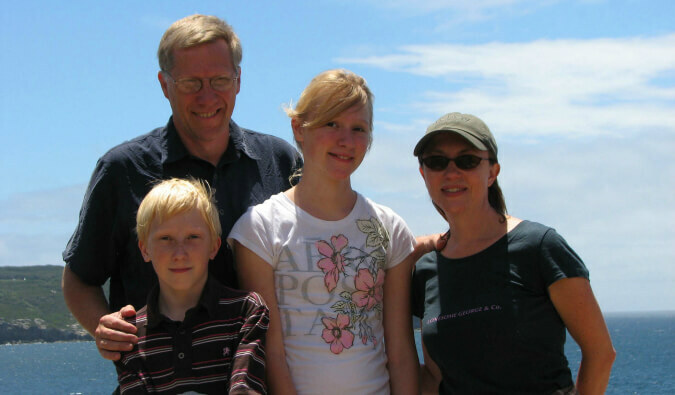 Purchasing flights for a family of four is not cheap. In fact, finding the money to pay for flights is often the biggest constraint that prevents young families from traveling. 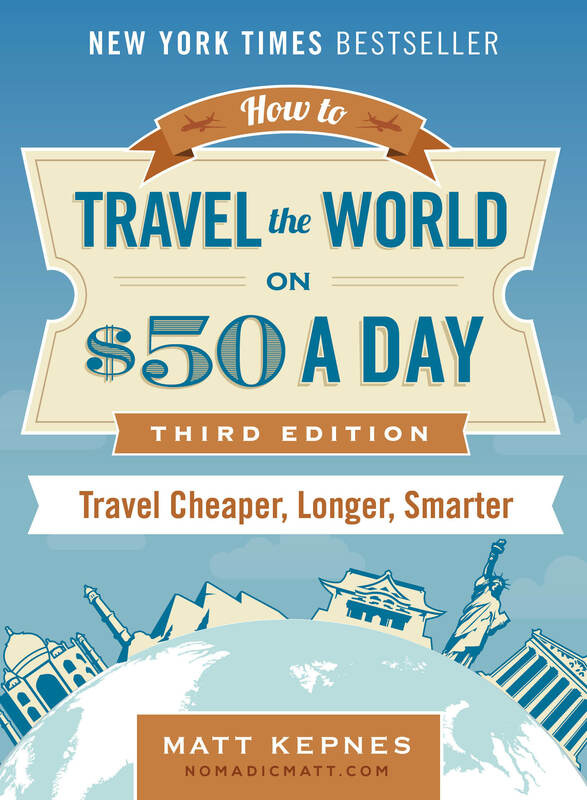 Domestic flights cost at least $500 each, so a simple trip within North America can run us over $2,000. By removing this expense, we are able to stretch our travel budget further, allowing us to travel longer and deeper. Most road trips we take total less than $2,000, which means we can travel more often. 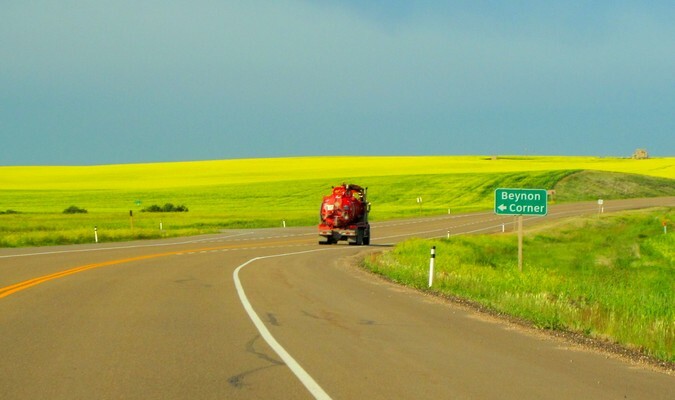 Starting a road trip from home allows us to use our personal vehicle, so we eliminate the costs of renting a vehicle and adding auto insurance. Renting a vehicle can cost $100 per day, so taking advantage of using our personal vehicle saves us a lot of money. Having a vehicle also allows us the freedom to stay at hotels or apartment rentals that are located outside of the city center, which tends to save us considerable money on the price of accommodations and overnight parking (don’t overlook the cost of parking in the downtown core of a major city — it can be as high as $40 per night!). Building on the above point, by saving money on expensive airfare, we are able to have more travel experiences. Road trips don’t always have to be epic cross-country adventures that take weeks to complete; sometimes a weekend getaway a few hours from home is exactly what the doctor ordered. Big trips to exotic destinations or remote tropical islands can sometimes feel unattainable when you’re caught up in the daily routine of raising your children, but that doesn’t mean travel has to stop. I’m sure you think of a few destinations within a 3-5–hour drive from your home that “you’ve always wanted to visit” but have never found the time. Why not make that city/beach/national park your next adventure? The road trip mindset allows us (and you) the ability to travel more, because it can be a last-minute decision that isn’t very expensive, especially if you plan to camp or stay with friends and family. I love the amount of space we have when we take road trips. Traveling with young kids means we no longer travel lightly, so packing can be quite a stressful ordeal. Do we bring the playpen and/or portable high chair? 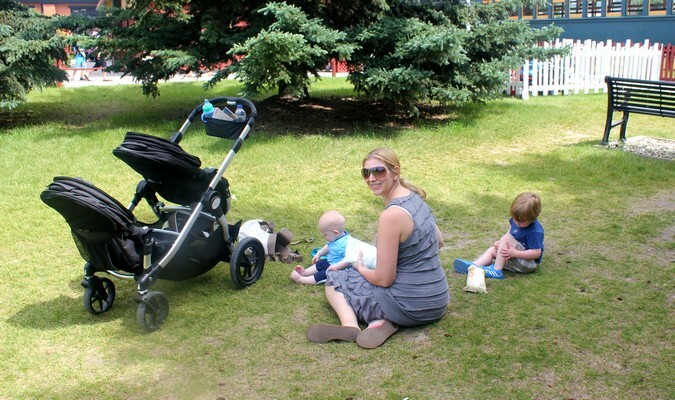 One of the questions we get asked most often is whether or not we travel with baby car seats. They are big, heavy, and awkward, so many parents struggle with the decision to rent a car seat at the destination or bring their own (to answer the question, we always bring car seats with us). 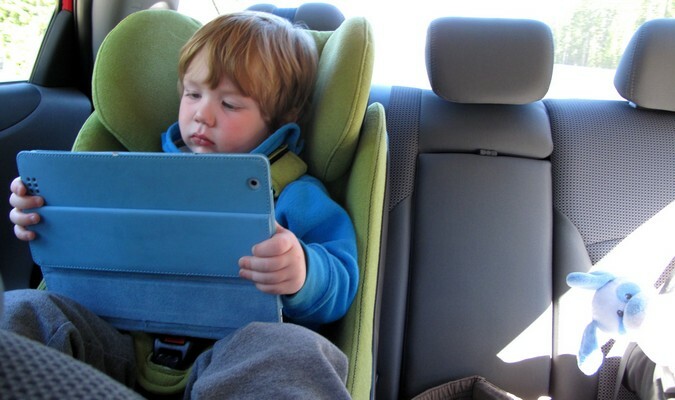 A road trip with our personal vehicle eliminates this headache because the car seats are already set up. Do you remember your first long flight? Did you have a “get me off this freaking plane” moment? I did. I felt suffocated and trapped. All I wanted to do was walk around and get some fresh air (not a good idea at 35,000 feet). Kids are no different. They need a break from the chair, they need to stretch their legs, and take a deep breath of fresh air. The problem is that young kids have a tough time understanding why they can’t get up and walk around or get off the plane (not an easy thing to explain to a two-year-old). Road trips allow you the ability to slow down and take as many breaks as you need, making the trip much more enjoyable for everyone. Routine is important, so we try our best to drive long stretches during typical napping hours. When they fall asleep, we step on the gas and try to cover as much ground as we can. Our boys don’t like to be in the car for long stretches (who does? ), so we try to plan breaks around the day’s activity or attraction. Bring your own food — and save money! Our infant has a severe food allergy, so it can be difficult finding restaurants that cater to his diet. It’s a challenge even in our hometown where we’re very familiar with the available options. Traveling with a vehicle allows us to stop at a grocery store and purchase food items that have ingredient labels. This is very important to us. We bring a small cooler with us and load it up with food so we don’t have to rely on restaurants. Eating at a restaurant as a family of four typically costs us $30-50 in North America (without alcohol). If you eat out 2-3 times a day, that number adds up quickly. By purchasing groceries in bulk we save time and money, and it allows us to pull over and have picnics at random parks, which is always fun. This is my favorite part of road trips. Life is busy. We’re always plugged in and focused on what’s “out there” or we’re too busy working through our daily routines. Spending long periods of time together gives us the opportunity to unplug and connect with each other on a completely different level. We blast songs on the radio, play games like “I Spy,” and actually talk to each other. We love listening to their stories and learning how they process the world. Kids have a way of simplifying even the most complex situations. 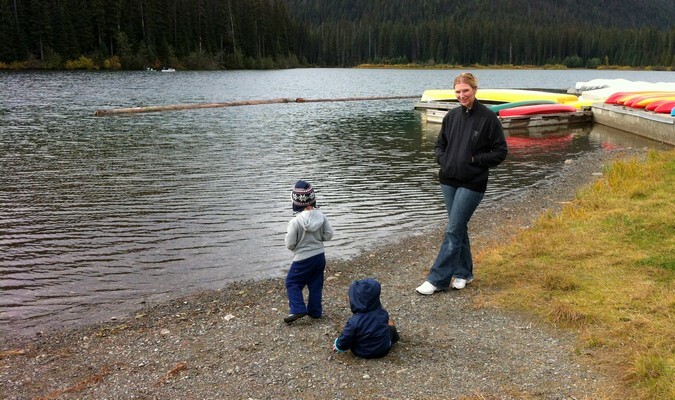 I’ve often heard parents say that travel is too difficult and expensive with young children. While they may have perfectly valid reasons for this line of thinking, if travel is important then a fantastic solution is to load up the car and take a road trip. If you’ve recently said to yourself, “I need a vacation but the timing just isn’t right,” do yourself a favor and take a road. Open up a map, pick a destination you’ve always wanted to visit, and go. Road trips with kids might test everyone’s patience, but in the end, parents and the kids will enjoy the the experience. But bring a DVD player, they’re worth their price in gold! Great points. 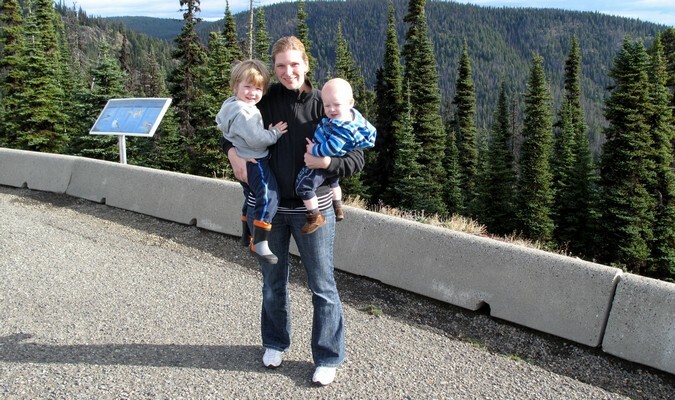 Regardless whether you’re travelling with kids or not, road trips are a great way to explore. I love having the freedom to be able to pack the car and go, without having to worry about passports, visas, airports security control and all the other stuff that makes air travel tedious. It’s a great way to initiate your kids into travelling and getting used to new places and getting out of the daily rut of being at home. Although I’m not a parent, I love this post! As a professional guide/seasonal ranger, we see a lot of families on vacation. I love when visitors come to my desk with flexible plans, and a desire to find out how they should best spend their day, instead of planning to fit everything into/on top of an existing itinerary. Especially when kids are added into the mix. Getting children into the outdoors, or out of their comfort zone in general, is so essential. The well-traveled children that show up on our guided kayaking trips are such a pleasure… and such a contrast to the city kids, though we’re just as happy to see them on the water 😉 Thanks for sharing. Hello! We are three young and outgoing girls who love adventure. New Zealand has been a dream of ours for quite a while. We want to experience the luxurious scenery, the unique culture, and interesting history of New Zealand. Thank you for reading but for a more in-depth story please visit our website below. Traveling with kids is a difficult task initially but when I look back they are the most memorable moments you could have! I don’t have kids but I always enjoy travelling with my nephews. It is always a fun experience. The tips you mentioned must be considered by all travelers. I read your “Road Trips..” remembering. My mom used to call me and say can you take me on a trip? She was limited, but saved her money and we shared the gas and the overnight motels. It was my joy to oblige her and a way I could enjoy travel. We ate modest breakfast or cereal and fruit in our room, and had a hot lunch as reasonable as possible, because lunch costs less than dinner. If you skip tea and coffee, drink water with lemon it helps. Our dinners were just snacks or cereal from the cooler box. The road was the thing; she was always alert to the scenery, never napped and we made her favorite things a must see. I loved recording it with my camera so she could revisit the trip later. Waterfalls, State Parks, Streams, and Lighthouses were her passion. Going the beautiful scenic routes, seeing the mountains, finding a comfortable motel that we could afford at the end of the day; all this was going toward what we would select was our “destination” and it was flexible; Niagera Falls, The Smithsonian, the north east light houses, maybe a visit to see the relatives in Tennessee, a friend somewhere. Somewhere in the car was usually a fishing rod and tackle box! If we saw we were running short of funds, we turned for home. How I miss those her and those trips! Like her, I love to travel, love to drive, but Mom has gone on the Big Trip. We don’t have the funds since my husband and I have gotten older. Our cars are worn and high mileage and we wrestle with some limitations of the elderly, but oh, I would love someone to say, would you take me on a trip, I’ll furnish the funds if you will drive me, lets just to see the country! My heart is still a traveler! We did a 38 day road trip just over a year ago from Cordoba, Argentina to Buenos Aires, Las Grutas on the Atlantic coast down to Patagonia and back in a sedan (3800 miles). Always broke up the trip. 4 hours being the longest stretch of driving except twice where we powered through six hours. Our girls were 1-1/2 and 6 at the time. Shockingly we only used the iPad once. We thought we would have to lean on the tech more than we were comfortable with, but kids can do it. It was an amazing experience. Thanks for this article. We do use the expense of airfare to justify not traveling. I guess kids in the car for hours at a time isn’t the most alluring of prospects, but you’ve inspired me to try to make it work and get out there more often! Yes, travelling with kids can be a challenge, but you’d be surprised how they can often rise to the occasion. The problem is eating. But that always seems to be a problem with kids…. It really helps to prepare kids beforehand. By that I mean read books or watch movies about where you might be going. It really helps get the kids psyched! Traveling with kids is such a fun and challenging expirience. I’m going to Australia next year with my two kids!